The Toqua Championship Course and Clubhouse, opened in 1987, renovated in 2008, features four tees ranging from 6,910 yards to 5,230 yards. 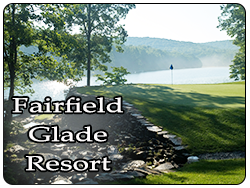 This par 72 course nestles up to Tellico Lake, which has holes 3, 14 and 15 on the lake. 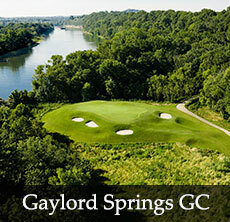 Toqua is highly regarded as one of the best courses in the Knoxville area. The course features a great design - no two holes are alike, giving the golfer the opportunity to use every club in the bag. Toqua has many holes with elevationchanges, offering challenging approach shots that require golfers to be accurate with their irons. Although there are not a lot of forced carries over water hazards, the elevationchanges and undulation of the fairways will provide a challenge to all levels of golfers. The course boasts a combination of tree-lined and open fairways. 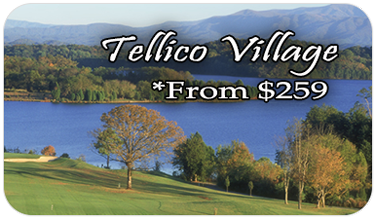 Toqua also has two magnificent holes that feature sweeping views of Tellico lake from the tee box. The par fives are relatively straightforward, but lengthy in design. Toqua is kept in immaculate shape, is well-designed, and is a great addition to your golf package.